Who Wants To Be A Comic Book Artist? 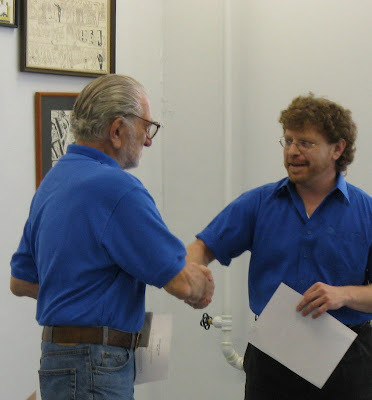 Courtesy of Adam Kubert, here's some photos from last year's (May '08) scholarship presentations at The Joe Kubert School for Cartoon & Graphic Art. I was honored with awarding the Dave & Paty Cockrum Scholarship to second-year student Ian Ayala and am pictured here with living legend Joe Kubert who thanks me for wearing a blue shirt. 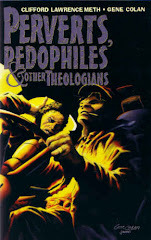 The scholarship is funded by sales from Dave Cockrum's personal comics collection. Dave Cockrum's personal collection of comics are now 35% off. Have a look. Didja hear the one about the Italian, the Irishman and the Jew? 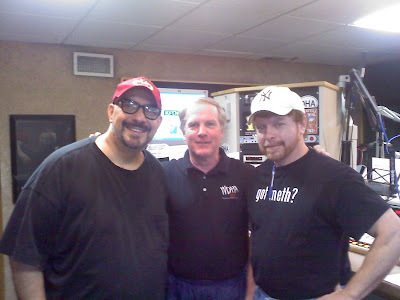 At WDHA studio with Pat DiNizio (the Smithereens) and radio's Jim Monaghan. Pat & Jim did a few Buddy Holly numbers. The Smithereens will be rocking The Morristown Community Theater this Saturday night. The Jew is skipping the fights to go see them. It's only one of the best garage bands you'll ever see. And Mr. Meth will be there. Do yourself a favor and catch The Smithereens performing their hits like “A Girl Like You,” “Only a Memory,” “Blood and Roses” and “Behind the Wall of Sleep” this Saturday night in Morristown, NJ. At 46, Randy Couture (17-10) is still the best, classiest, most important fighter in the game. Following a brief stint in the heavyweight queue, he returned to the light heavyweight division tonight and scored a decision over Brandon "The Truth" Vera (11-4) by a unanimous 29-28 in the UFC's main event. Couture's grappling style beat the younger, bigger, better striker. "I controlled the tempo of the fight," said Randy. "It probably wasn't the most exciting thing to watch, but Brandon's dangerous; he kicked me twice in the body in the second and third rounds." You could see Randy was hurt, so he used his head, closed the gap, and won the fight. Funakoshi Sensei wrote, "Karate-do without courtsey is not karate-do." Sadly, scumbags like Brock Lesnar and Tank Abbott are an embarassment to MMA. At the other end of the spectrum, a gentleman and a warrior: Randy Couture. If you haven't seen this collection yet, do yourself a favor: Here's a chance to own a piece of comic's history. And if you have visited, look again--more comics have been added--and more will be added later tonight, including file copies of Dave's. The prices are right and will be further discounted if you purchase a handful... and the proceeds help his widow. Click here. Get alerts when I update (which, let's face it, is hardly ever). It's free. Click here. Marie is an incredible talent and one of the nicest people I've ever met. She did the layout for my very first Marvel cover (which in my 18 year old arrogance I altered to a much weaker composition). To have the chance to do that over! Dear Mrs. Severin: Like a lot of other fans out there, I feel like I owe a debt of gratitude to you that I can never repay. I wasn't around when you were first drawing all the great issues that I've come to love. 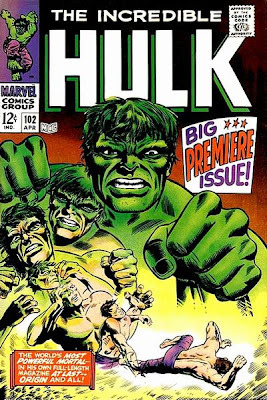 I didn't read all your issues of The Incredible Hulk 'til later on or know who to thank... At the time, I was a little kid with dirty knees reading much-loved copies of his dad's comics. Most of 'em were in pretty okay shape, but several were pretty shredded up after narrowly escaping a tornado in the 1970s... 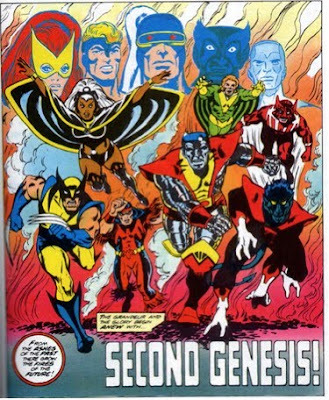 I didn't know growing up that it was your vision of these characters that did and still continue to thrill me and give me touchstones of happy times from my life as I grew up. I think of all the work you've done, the stuff I got a kick out of the most was your work on Not Brand Echh... [It] remains a special memory to me of my childhood afternoons with my grandmother in the house my dad grew up in, reading his old comics... I'm constantly hoping that Marvel will release those stories as a nice hardcover in their Marvel Masterworks collection, or some other nice format. It's been way too long since fresh eyes have gotten to see those wonderfully silly stories. I'll likely never meet you at a convention since I live in Jonesboro, Arkansas, and it isn't the vast metropolis it sounds like, so I'll never get a shot to thank you personally for your wonderful body of art. It saddens me that I won't get to shake your hand and look you in the eye with a dopey grin on my face and say thanks. This is the best I can do for now. But I have to thank you, all the same. All the journeys your stories have taken me on have given me many a happy moment reading and imagining. You're one of the maybe dozen people in your field that I can repeatedly re-read and re-read...knowing what'll happen when Hulk fights Sub-Mariner... or that Charlie America has a trashcan lid for a shield (of course!). And [on] the occasion when I find something by you I've never seen before, I'm thrilled that I get to see a whole new unearthed gem for the first time. You have such versatility in your work... zipping from humor to heroes to some stories that show how great a horror-feel you could have... Your moving, twisting, living characters practically make my own muscles stretch just by looking at them. You have continued and will continue to inspire and entertain people like me in all walk's of life by your herculean talent. I really do think that you're the greatest and I had to stop putting off writing this letter... Luckily I was put in touch with Clifford Meth who graciously offered to send this letter along to you for me... I dearly do hope you're enjoying your much-deserved retirement. For everything that you've done, some of which you may not realize you did, I just wanted to say thanks. 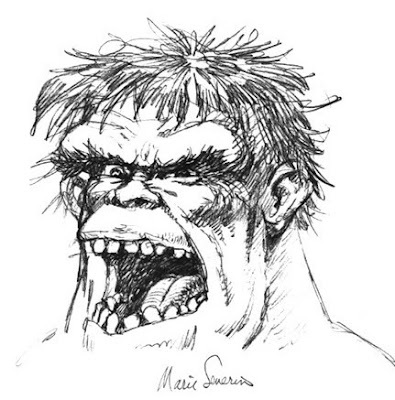 --Matt S.
Spoke briefly with my friend Neal Adams this morning. 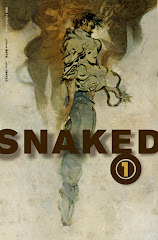 His Continuity Studios recently finished the first genuine motion comic for Marvel Entertainment. If there was ever a comics pioneer, it's Neal. I took a gander at the Gifted Astonishing X-Men graphic novel on Neal's site. 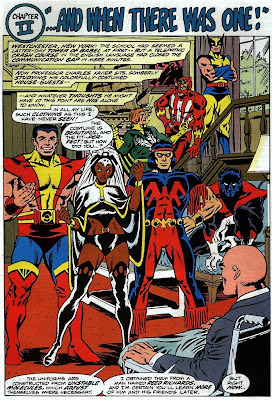 John Cassaday and Neal (who co-produced) take the concept of those old Jack Kirby "Merry Marvel Marching Society" cartoons I used to watch as a kid and put them on steroids. And LSD. Have a look. 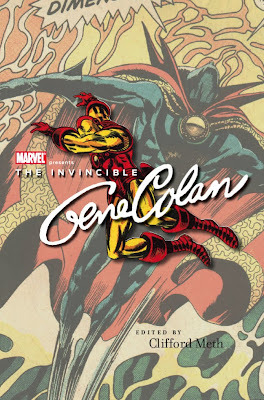 Aardwolf Publishing reports that The Invincible Gene Colan remarqued editions are selling quickly. If you want one, better move on it. Members of the Gene list (you know who you are) and readers of my blog can take an additional 10% discount off of the signed/numbered edition only. Send just $45 per copy via PayPal to sales@aardwolfpublishing.com (add another $5 for total shipping). Offer good this week only. 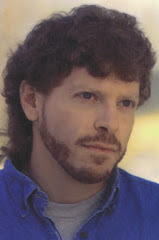 Today, November 11, would have been Dave Cockrum's 66th birthday. Salute, old friend! I am home with fever and achy and miserable and spent most of the day under a blanket re-reading Bukowski and a book about mobsters. Then something made me pick up The Legion of Super-Heroes Archives Vol. 10. Published in 2000, the book opens with a genuinely wonderful foreword from my pal, Dave Cockrum, where Dave talks about his early career; how he ended up inking for Murphy Anderson and lucked onto a book like Superboy in the first place and what he was thinking and feeling and doing every panel of the way. It's a great story guest-starring Cary Bates and Neal Adams and Murray Boltinoff and Jim Warren a not a single note of ego. Not a peep of bravado. More a how-I-spent-my-summer-vacation by someone who loved life, loved comics, loved what he was doing and why... And then there were the comics with all those marvelous SF designs. Made me miss the hell out of him. And then I decided to go back and re-read The Uncanny Dave Cockum and I missed Dave even more. The art is stunning, and then there's those memories from Dave's many peers... and the Harlan Ellison piece, which is milk-through-your-nose hysterical, and I so didn't want to laugh because my ribs hurt from fever... And then the end, that tragic end, and I hurt from crying. He was one of a kind, that Dave. Just as sweet and funny and decent as they come. Aardwolf Publishing is running a special on Dave's book right now. That's not why I wrote this, but you should know. If you don't have this book you should get one. 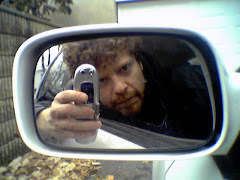 Dave is worth spending time with--his art, the man, all of it. I'd pay good money to have my friend back again. 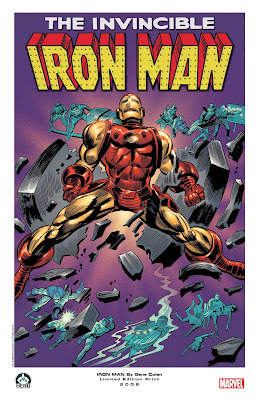 The Invincible Gene Colan...Order Now! 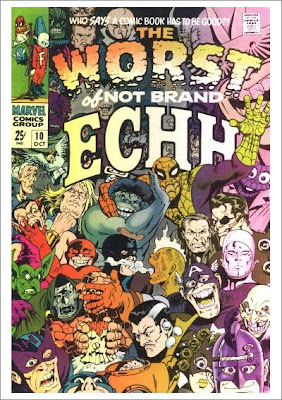 Marvel Entertainment will release my 128-pg. THE INVINCIBLE GENE COLAN in February, 2010, a visual biography of one of the most brilliant, sublime and influential comic artists in the history of the genre. Includes observations from Stan Lee, Roy Thomas, Neil Gaiman, Walter Simonson, Marv Wolfman, Tom Palmer, Steve Gerber, Tom Spurgeon and John Romita Sr., and beautiful, eye-popping art from the Shadow Master himself. 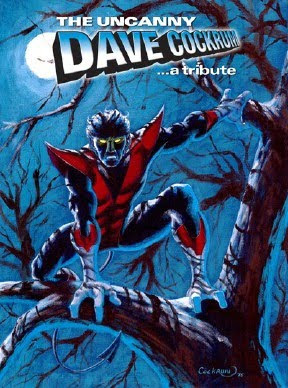 * Special offer: With any order, add another $15 and receive THE UNCANNY DAVE COCKRUM hardcover numbered edition ($40 retail value). 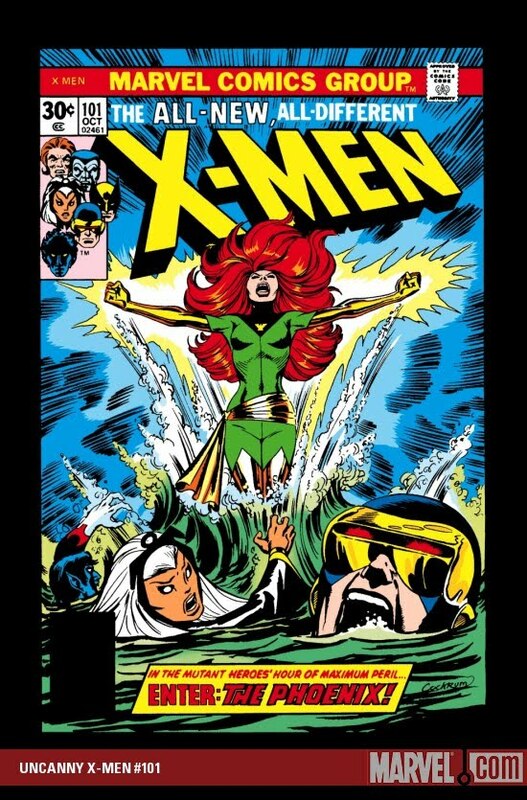 Thanks to some (ahem) small efforts on my part, Paty Cockrum finally received her Marvel royalty check (it comes twice/year for Dave Cockrum's share in Nightcrawler) but I am still raising money to help her defray an unexpected tax bill. 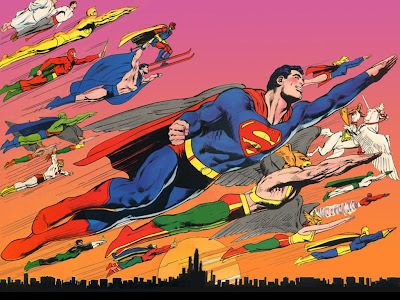 So today only we are offering DC Comics from The Estate of Dave Cockrum for 35% off. Click here.